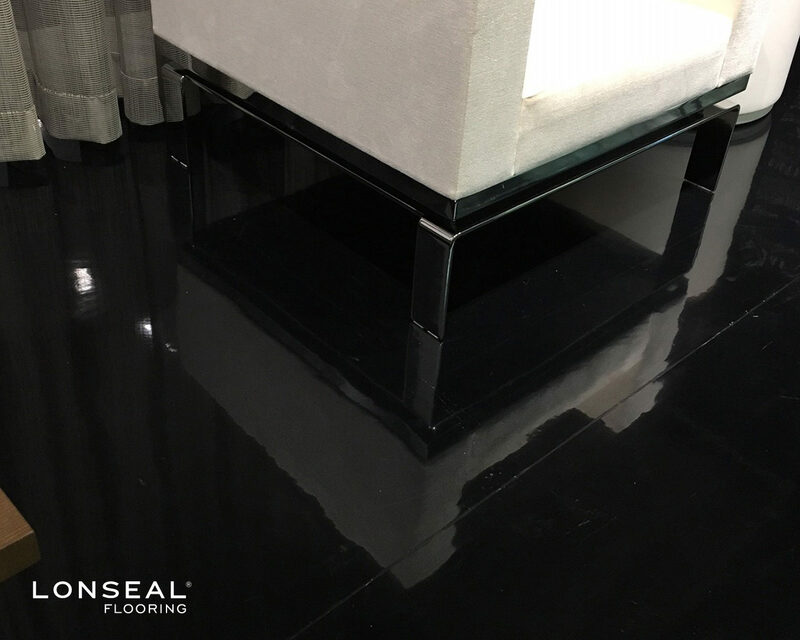 *Due to the light color of #S100 Shiny White, more frequent maintenance procedures are necessary to ensure a long lasting installation. 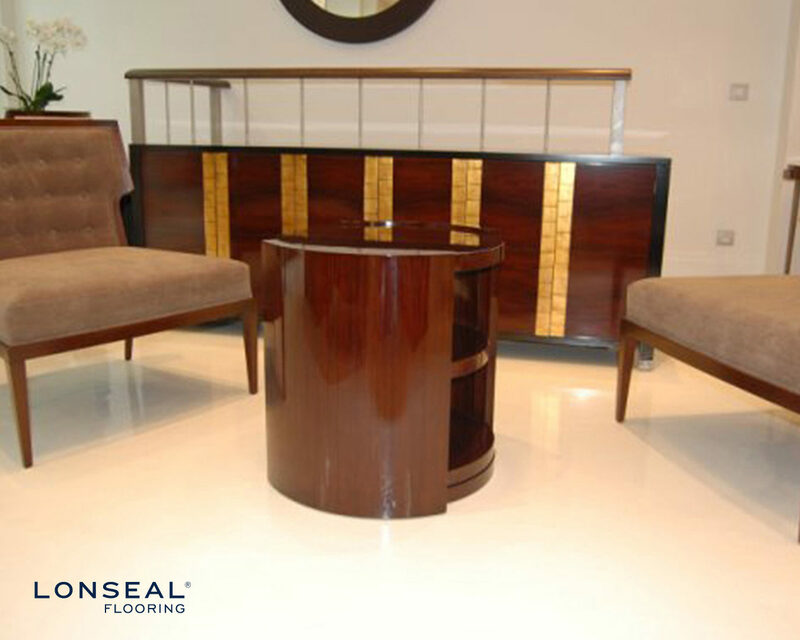 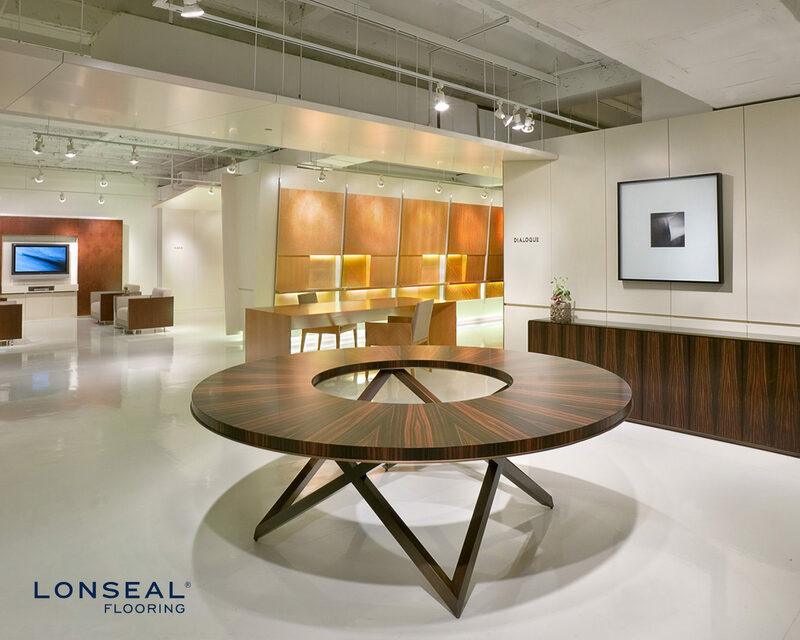 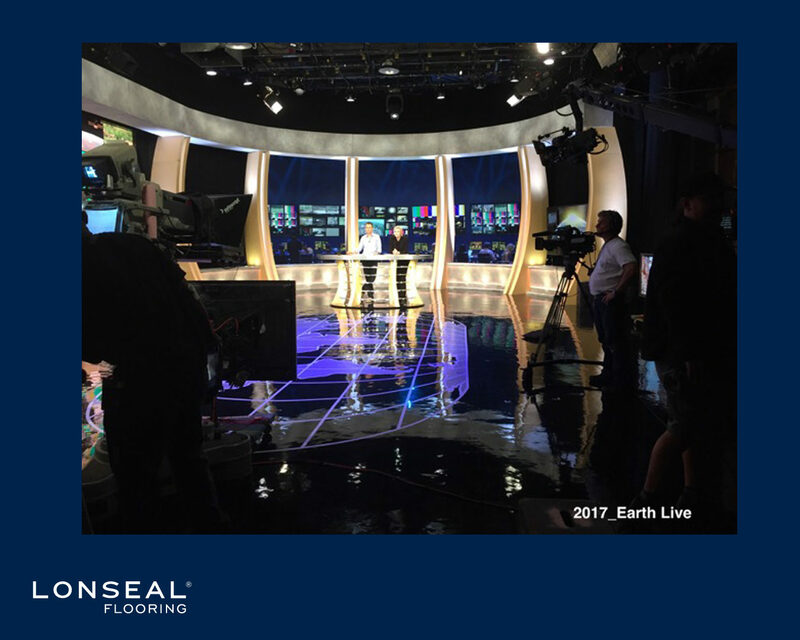 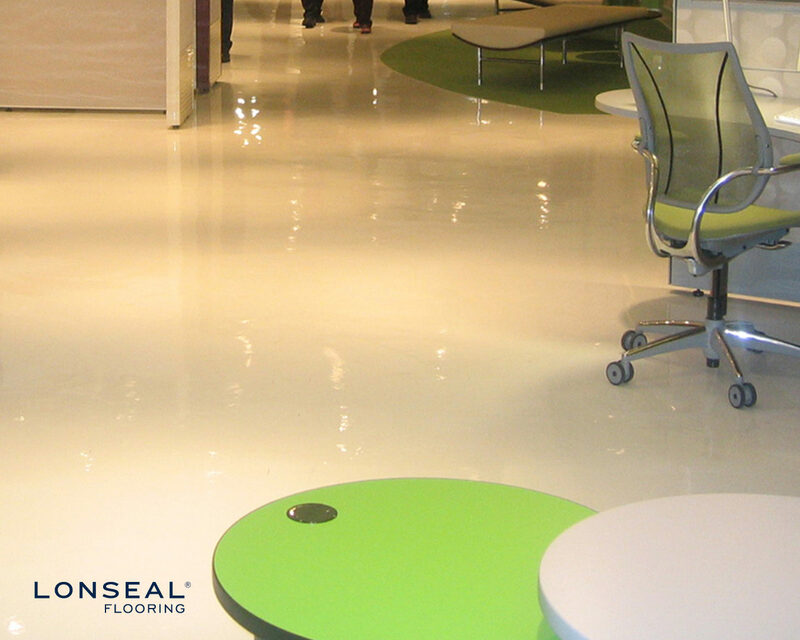 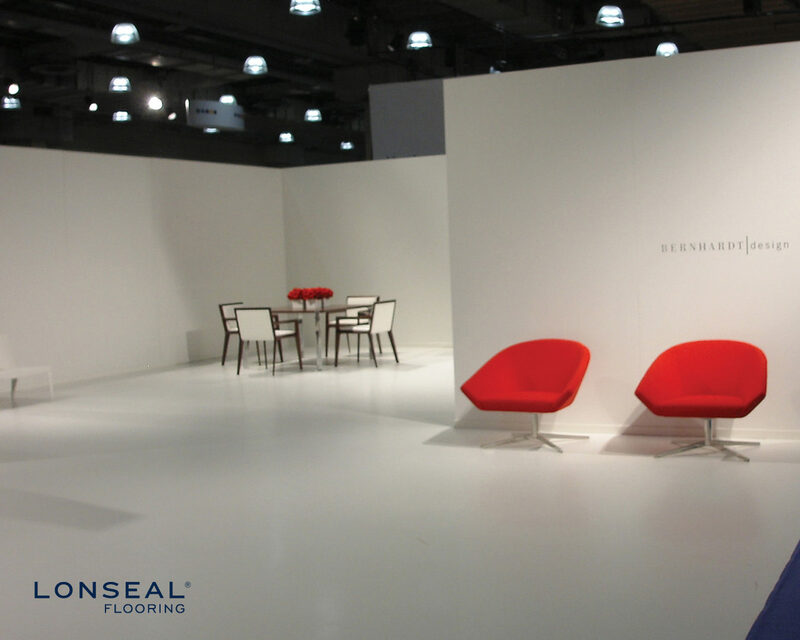 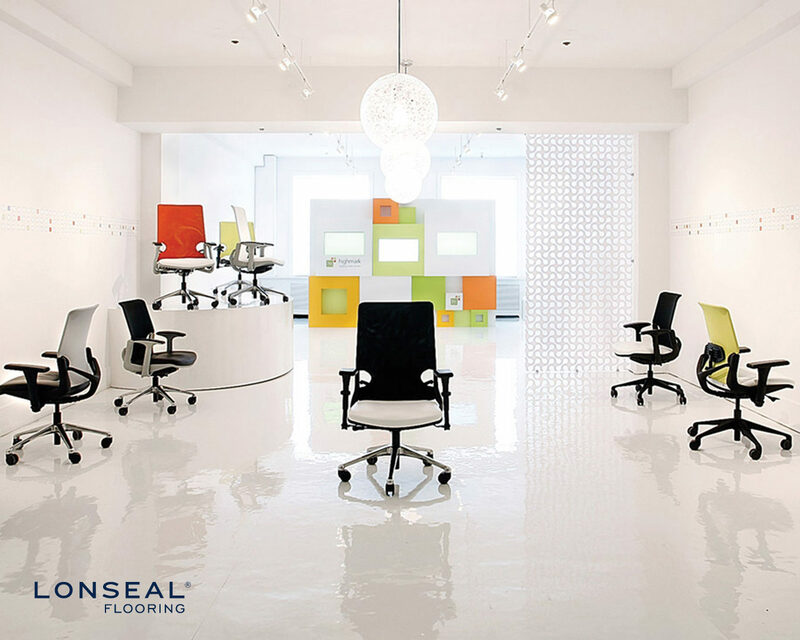 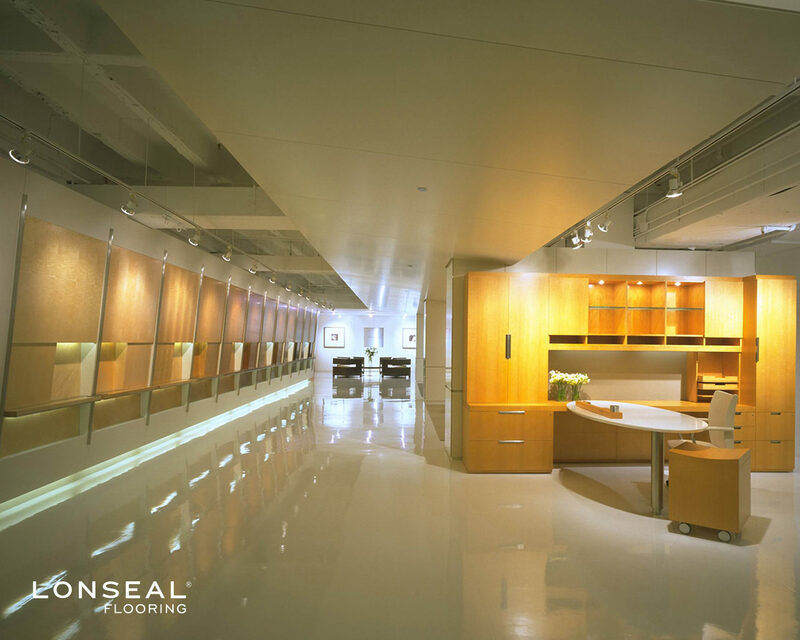 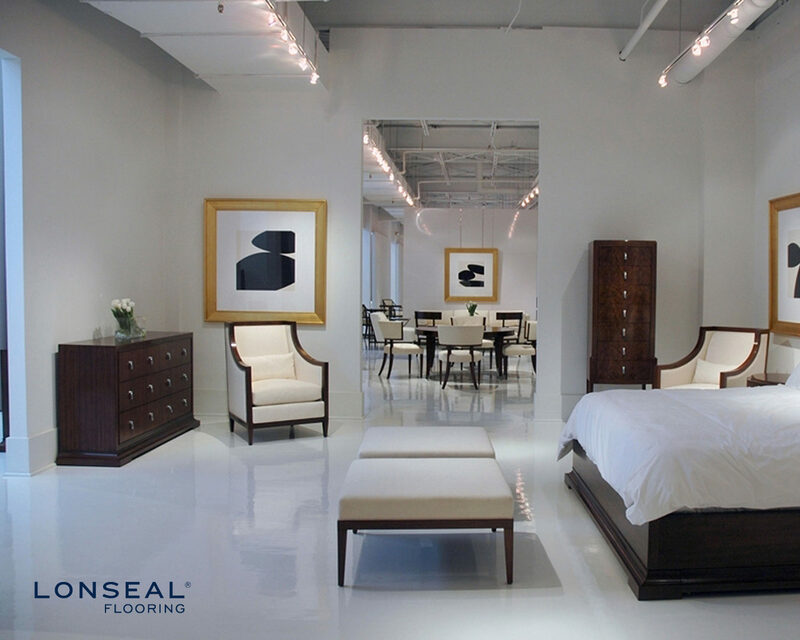 In addition, areas of prolonged UV exposure should be avoided to prevent unwanted discoloration of the flooring. 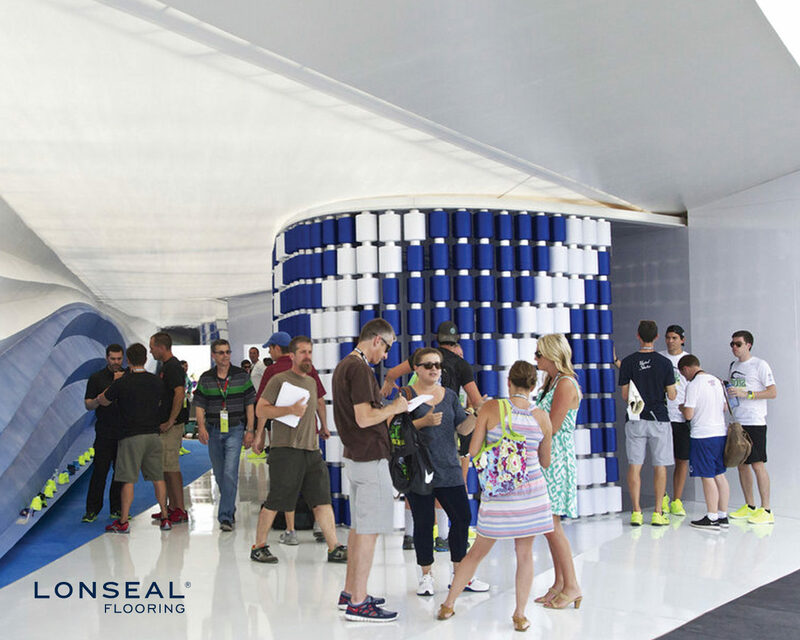 LONSTAGE UV has the same bold and slick look as our Lonmetro but a smoother surface. 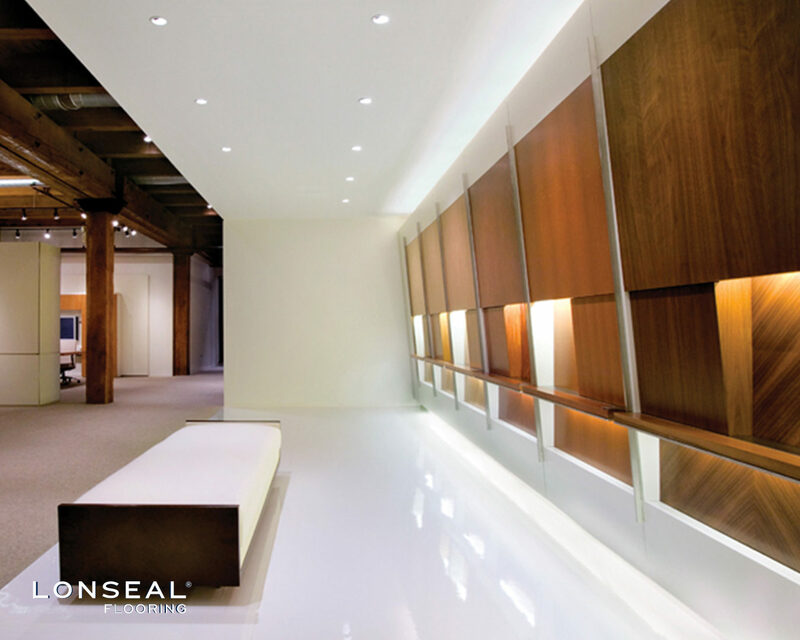 Its ultra-clean style means that Lonstage UV is suitable for showrooms and "showplace" spaces. 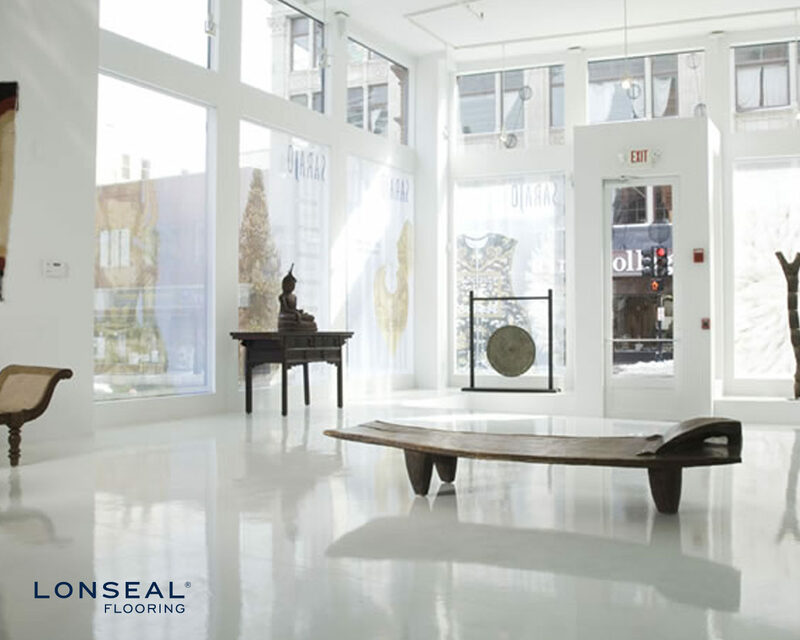 Recommended for interior use only, and should not be used where subject to extreme mechanical use. 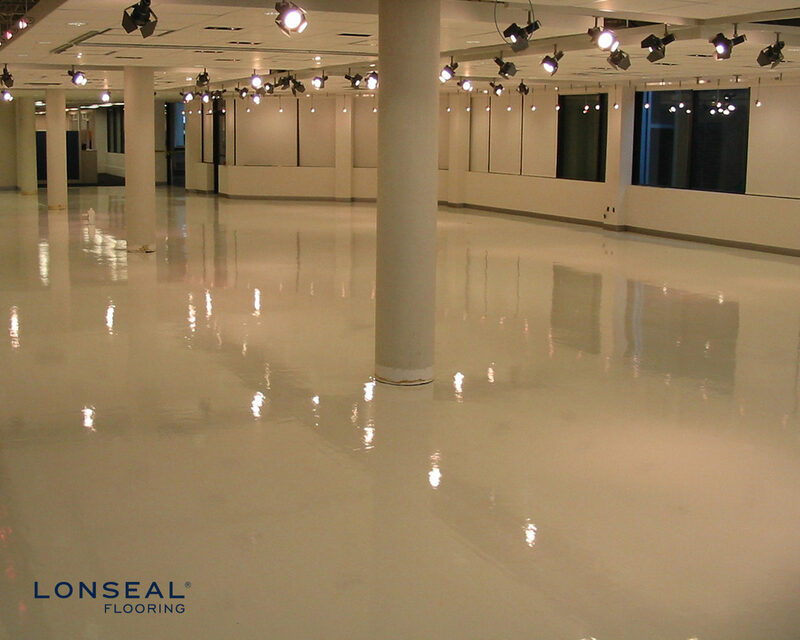 Ideal for stages, entertainment and dance studios.